Friends! I’mmm baaaaaccccck! Didya miss me? I’ve certainly missed you! Dwell Beautiful took a bit of a break these past couple weeks as hubby and I enjoyed the holidays with family and then went to Maui to kick 2015 off right! 🙂 What. A. Dream. Now I’m back in the chilly PNW temperatures and ready to get this blog back on it’s feet! As you can tell, we have a brand new blog design that I spent hours working on- what do you think? I’m really pleased with how it turned out! A new blog design for new & exciting blog projects! 🙂 For my first project back, I’m bringing you something I’ve been meaning to do FOR.EV.ER…. aka since we moved into our house – add a chalkboard entryway wall. would be perfect for a fun bit of color and functionality! After a lot of debate, I decided to go with a chalkboard entryway wall. Yes, yes, I know that they are supposedly “overdone” or a “dying trend” but I still love chalkboards and think they are a fun and functional way to add visual interest to your home. So sue me! (But seriously, don’t sue me.) I had the paint sitting in my craft room for months and months just begging to be used, but I just never got around to it. So what better way to start the new year than with crossing a big project off my to-do list! I started off by using some masking tape and creating a straight seal around the molding on my wall. Next was the messy part. If you know me, you know that any time I use paint, even if it’s watercolors or a teeny-weeny tube of acrylic paint, I somehow manage to drip it everywhere. Go me. I only managed to trip over the paint can 3 times (luckily it didn’t tip over… phew!) and only got a couple drips on the tile, which is big progress for me. For this project I used Rust-Oleum Chalkboard Paint – it’s gotten lots of rave reviews by lots of bloggers so I decided to give it a go! Pro-tip: Make sure you give this paint a GOOD stirring! My can had been sitting for a long time so the thick black stuff was kind of blobbed at the bottom and the rest of the paint was kind of watery with a blue-ish tinge. Mix that bad boy up for the best results! The first coat goes on pretty thin, at least it did on my wall, so I gave it a second coat and she was good to go. Two – three coats are recommended for the best coverage and durability! The can says to wait 3 days before you do anything to your chalkboard wall, but I waited only 2. I like to live dangerously. Now my wall is ready to party! I knew I wanted to have a welcoming message to greet all our guests – it is an entryway after all! So I quickly sketched out what I wanted my message to look like. 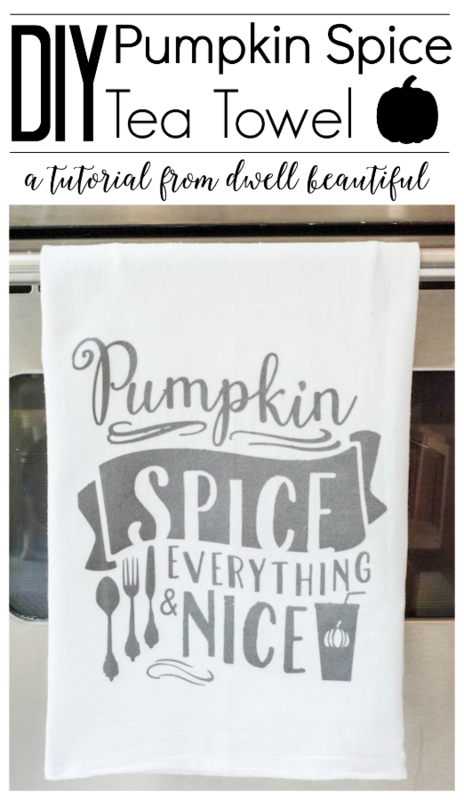 I just free-handed everything and looked at a couple fonts for reference, but if you don’t feel comfortable doing this, my friend Nicole at Meet the B’s, has a super easy transfer method for putting printed text on any surface! I did a rough outline in regular chalk so I could easily rub it out if I didn’t like the way it looked. Once I felt it was what I wanted, I whipped out my handy dandy chalk paint pen and went over my lines! Since this entryway is also where we sort our mail and do some planning, I also knew I wanted to add some functionality to this space. Enter a hand-drawn calendar! I achieved this by using a right angle ruler and tracing straight lines to form boxes for the days of the week and a space to write the month in. To help cut clutter and improve organization, I nailed in some pretty little tins for sorting things like outgoing mail, things to sort, coupons, reminders, and more! I got these tins from Pick Your Plum a while back and I’ve been saving them just for this project! These tins sure are glad to be out of the bottom of my craft closet and finally on the wall being useful! After adding a few more final touches and doodles, the last thing I added was a place to hold chalk for when I wanted to change up the calendar or for extra doodling! My friend, Amanda at Dwelling In Happiness, had the brilliant idea to use scrabble tile holders for keeping chalk in place and I followed suit because it’s an absolutely BRILLIANT idea! And here is my finished chalkboard entryway! I seriously did a happy dance when I finished. I lurve lurve LURVE how it turned out and I feel like I’m one step closer to having a ‘big girl’ house. I left the bottom half empty so it’s free for doodles when my 3-year-old nephew, Luke, comes over! What do you think about chalkboard walls? Are they a tired trend or do you still love them? Sound off in the comments below! Erica, it looks fabulous!! Wow!! Perfect spot for it and I love the tins fr PYP! You did an amazing job on the artwork too! Have a fabulous week, friend! Aww, thanks Kendra! I get so happy whenever I walk in the door now 🙂 Have a fab week too dear friend! Oh my goodness!!!!! I couldn’t be any more in love with how this turned out!!! The calendar is absolutely brilliant and those tins are SO perfect!!! LOOOOOOOOVE it girl!!! Aww, thanks Kristi! You make me blush 🙂 I’m so glad it turned out how I envisioned it, too! Ahhh LOVE! Thank you SO much for the shoutout, too!! You’re so sweet! I think I need to hire you to come do the writing on my chalkboard wall, because it’s PERFECT! My board totally looks like a 3rd grader wrote on it. 🙂 I love those little mail tins, they fit perfectly. And that wedding picture of you two is TOTALLY cute! I still love them, and I love yours! Dude, and I LOVE the new blog design, great job!!! This looks so great Erica! I love that you left the bottom free… my Kiddo would have a Heyday doodling on your chalkboard! I love a dark wall too, (so bonus!) — it’s so welcoming! Thanks, Jen! I really love how dark it is too – I’ve never done a dark wall before and everything else in my house is so white… so I was a little nervous! Totally in love though. I might have to add more dark walls! Love Love Love this, Erica! So cute and so welcoming! Oooo I’m drooling! I love this! and I definitely don’t think I’ve seen such a good tutorial. You are great! Super, super cute! Love the idea! I love the chalkboard wall! I can’t wait to be able to paint things with chalkboard paint once we are no longer renting! Your wall turned out amazing, I love the picture of y’all and the calender… so convenient! Thank you Betsy!! It was SO freeing to finally be able to paint things once we bought our house – I can’t wait for you to be able to do that too! 🙂 Thanks so much for your kind compliments! This is amazing Erica! It was the perfect idea for that space and I’m totally still in love with all things Chalkboard. I love all the little extra touches and how you made it your own. It’s beautiful!! Aww, thank you so much, Bre! I’m glad that chalkboards are still in 🙂 Thanks for your kind words! This looks so good and I can’t believe you free-handed it. =) We’ve had a large one in our kitchen for a few years and just love it… Hope you do as well! Aww, thanks so much! I just LOVE my new chalkboard wall 🙂 so pretty and useful! I wish I had room for one in my kitchen, too! I LOVE this Erika!! I never thought about seasoning the chalkboard! Great ideas!! Wow, that wall looks amazing! I love the style of the writing, and those tins for storage! Thanks for sharing at On Display Thursday! Pinning. Pingback: Creativity Unleashed Link Party! !